This week was a whirlwind of activity and we're now into August. And the Renaissance Festival is coming soon- a couple weeks now. In other news, I discovered a few more indie bookstores and am looking forward to scouting them out here soon. I'll have a new Bookstore Spotlight this week. Response has been great and I appreciate all the comments. I had a COYER review last week and more to come. I've been having fun drafting my Comic of the Week feature and have some good ones lined up, I think. Feel free to let me know what you think. Kaja at Of Dragons and Hearts tagged me in her Liebster post- thanks Kaja! I've done the Liebster before (twice actually) so probably shouldn't do it again, but I appreciate the tag! And go check out Kaja's blog- it's great! Her Liebster post is here- lots of fun! Angela at Angela's Anxious Life has a rundown of the San Diego Comic Con- with pictures! Check it out! I learned some things I didn't know about the con- like how hard it is to get into some of those events. 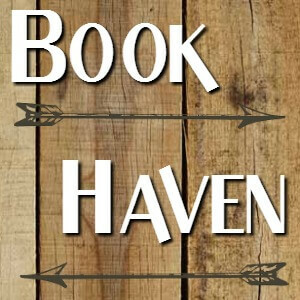 Check out The Literary Lowdown over at Tales Between The Pages- some great links this week. Nice review for The Here and Now over at My Shelf Confessions. The Wild Dark Flowers looks great, I just adore that era. Enjoy the Renissance festival, sounds fun! Summer is going by so fast and with all the rain and crappy weather my poor kids haven't had a lot of chances to go swimming so I am hoping this week when we are on vacation we will swim all week. Hey have a great vacation! Hope you guys have fun and great weather. Ren fairs are fun and I enjoy the music and the crowd (and the pubs cough cough) it's just something to get away from real life for a while. Have a great week, Greg! A Renaissance Festival sounds fun, the closest I've been is a Gilmore Girls episode which is just sad… That being said I look forward to see pictures of your wears. I love Renaissance Festivals...and bookstores. Your feature on the bookstore in Michigan made me nostalgic. 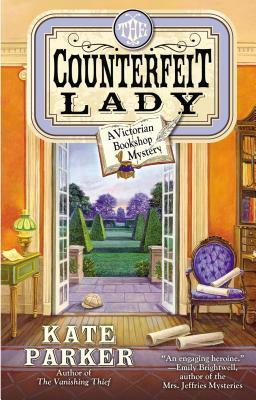 I like the look of your new cozy, too (The Counterfeit Lady); enjoy your week, and thanks for visiting my blog. Thanks, appreciate that! I think The Counterfeit Lady should be good, really liked the first one and I like the timeframe it's set in and the whole Archivist society thing. Hopefully it will be as good as the first one! The Renaissance Festival sounds AWESOME - I always see those on films and TV shows, but I don't think we have those in Finland, unfortunately. Have a great week - enjoy your reads, too!!!! You are so lucky finding so many book stores around you. We don't have very many. Looking forward to seeing some of those Ren Fair pics! My brother used to go to the one in Circleville, OH every year. I'm not sure if he still does. I'd love to go to one, at least once. I should see what NC has. More beach time is always a desire! Now that our local festival is over, we can take back our beach. LOL. Have a great week. There's a big Ren Faire a few hours away from me that I haven't made it to the past few years. I hope I can swing it this year, I have so much fun. Good luck getting to the beach! I like your new features- Comic of the Week and Bookstore Spotlight. I love visiting bookstores and try and figure out what makes them different ad special from the rest. not usually any I can turn down! 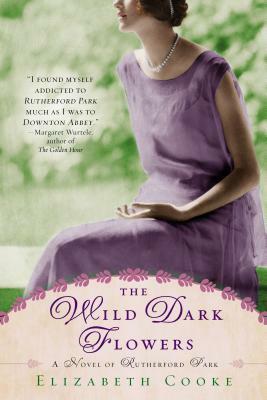 HapPy reading that gorgeous WIld Dark Flowers cover treat! Thank you, hope you like the post. Wild Dark Flowers pretty much picks up right where the first one left off. I've always been curious about Renaissance Fairs...have fun! This is my year to hit the Renaissance Fair. I manage to get there every few years. I don't dress up but enjoy the music, shows, and food. Come see my week here. Happy reading! You're so lucky to have all these awesome bookstores nearby :) Hope you'll get some beach time, though. I haven't been to a Renaissance Faire is ages..well not since I moved from MA (Nothing beats King Richard's) I should see if any are coming up here. I so want to go now. Have a great time! And yes...post pics! I will! Taking some good snaps is half the fun! :) And they are fun aren't they, especially the bigger ones? The Kate Parker series looks like something I'd enjoy. That Renaissance Festival sounds fun and I would love to see some picture of your garb (never heard of that word before). Finding new bookstores is always fun, although i buy most of my books online nowdays as there they are much cheaper then in stores here. I hope you have a fun week!